Premium synthetic leather provides ultra-soft feel and long lasting durability. Firm, yet resilient foam padding contours to your hand for maximum cushioning and impact protection. ISOPLATE technology features vertically-oriented, foam-plated wrist construction that stabilizes and prevents hyperextension upon impact. Back-end hook & loop wrist wrap closure stabilizes wrist for a comfortable and supportive fit. EverDri wicking lining helps banish sweat to enhance durability. 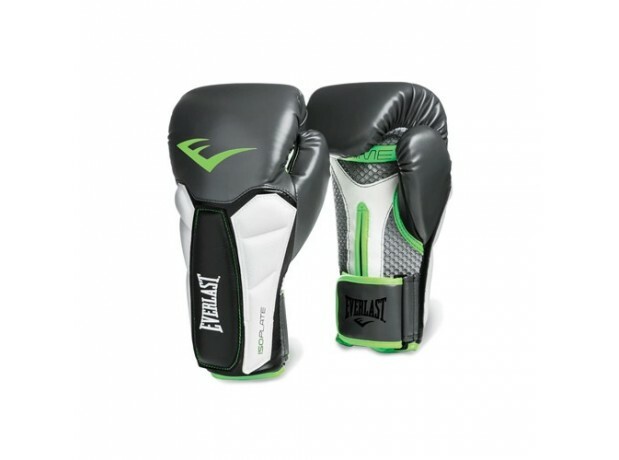 The Prime Training Glove should be used for Heavy Bag Workouts and Mitt Work only. It is not intended for Sparring and should not be used for such training.